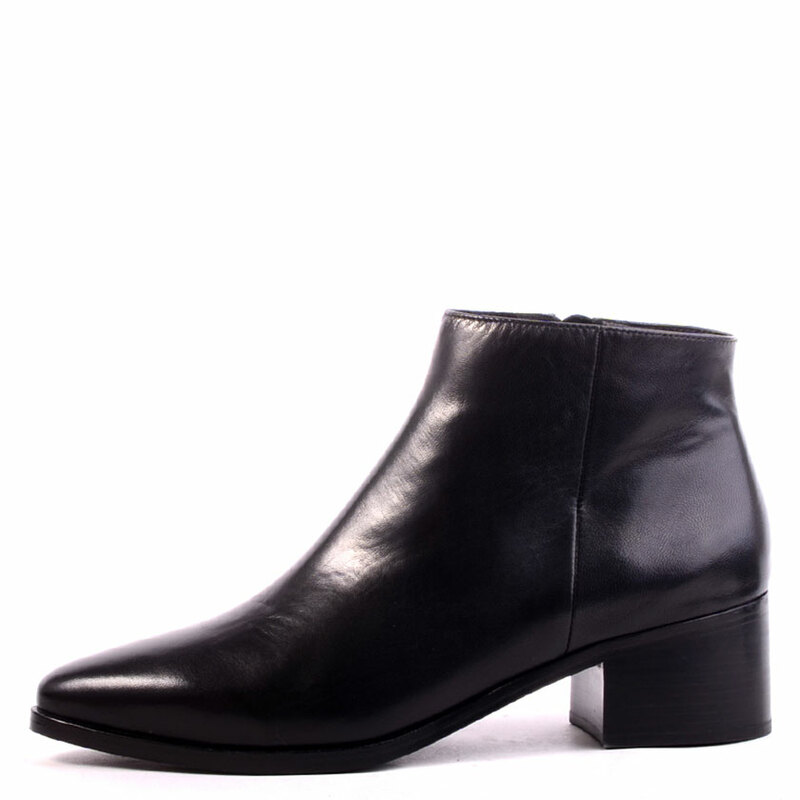 Pointy toe ankle boot featuring side zip for easy wear. 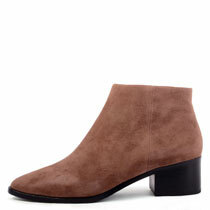 Available in black leather or taupe suede. Leather lined with leather sole.